Sebastian would like to build a high-res 3D printer, and to this end he needs a precise way to ascertain the exact positions of various moving parts. Instead of buying an expensive stepper motors he decided to build a magnetic rotary sensor with which he could calculate the distance traveled. By placing a neodymium magnet on the sniping shaft above the AS5043 IC, he should be able to have a rotary encoder with 0.35° steps. The setup for this sensor is rather simple, you need a few external components and a neodym magnet that is attached to your motors axis. Then you place the sensor under it. This entry was posted on Thursday, February 23rd, 2012 at 7:00 pm	and is filed under DIY. You can follow any responses to this entry through the RSS 2.0 feed. You can skip to the end and leave a response. Pinging is currently not allowed. Nice work… But if you don’t have time to “reinvent the wheel”, then Avago makes all sorts of encoders. 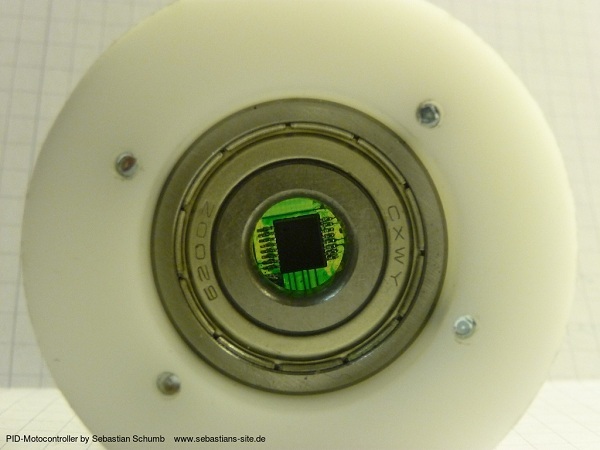 Some of the Avago rotary encoders have thousands of counts per revolution (e.g., 0.1 deg. resolution). Look for the “Avago Motion Encoder Selection Guide” MCPDAV000199EN.pdf (document: AV00-0199EN 09/20/10).